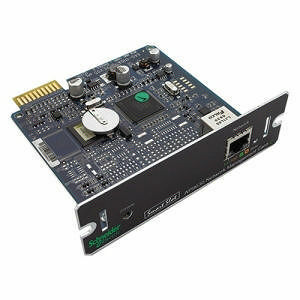 APC UPS Network Management Card allow secure monitoring and control of an individual APC UPS via web browser, command line interface, or SNMP. Embedded technology provides exceptional reliability with notification features that inform you of problems as they occur. An IT-ready, scalable monitoring system that collects, organizes, and distributes critical alerts, surveillance video and key information, providing a unified view of complex physical infrastructure environments from anywhere on the network. Install maintenance releases of firmware remotely using FTP. Be notified of problems to ensure crucial situations are dealt with in a timely manner.